Do you normally have busy days? What do you do to manage your time accordingly? 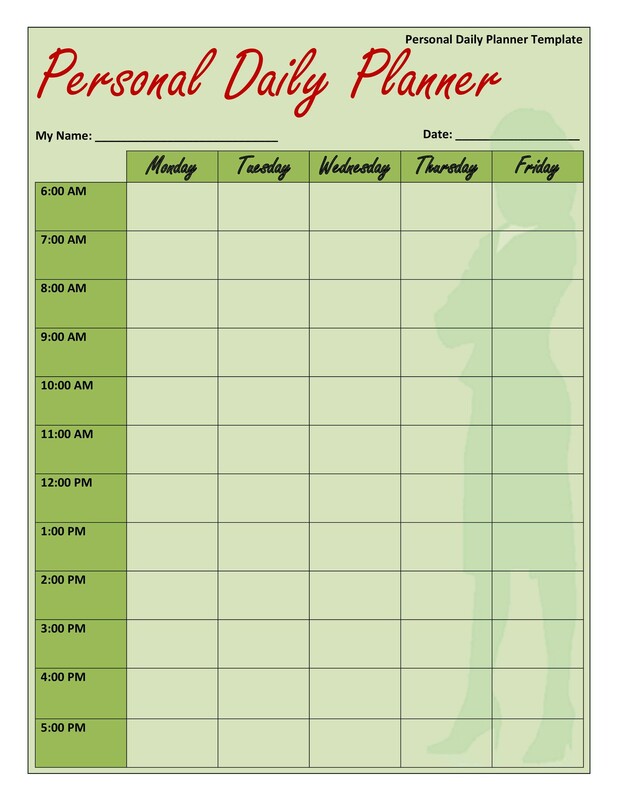 Do you maintain a daily planner? Whether you maintain it or not, you need to know that you should maintain it anyway. 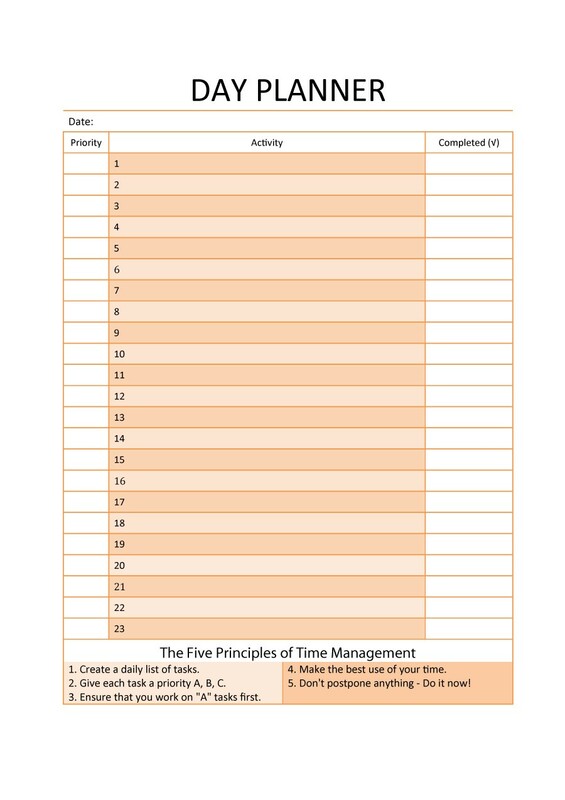 Keeping and maintaining a schedule for your day helps you manage your time more efficiently. If you want to stay on track, then you need to maintain a daily planner so that you do not forget tasks or else, it is likely that you will be sidetracked. Not to forget things, disorganized or overwhelmed; you should realize that maintaining a daily planner will simplify your life. 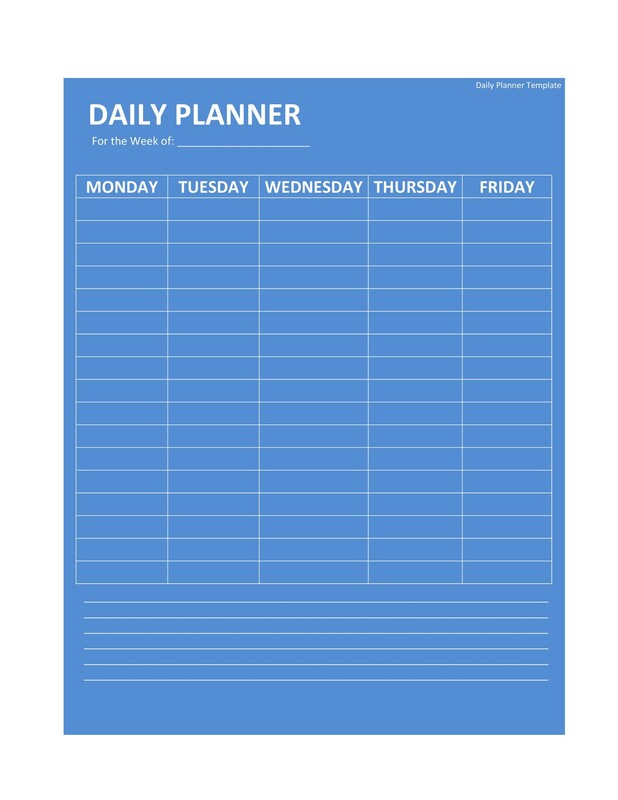 2 What Exactly is a Daily Planner? 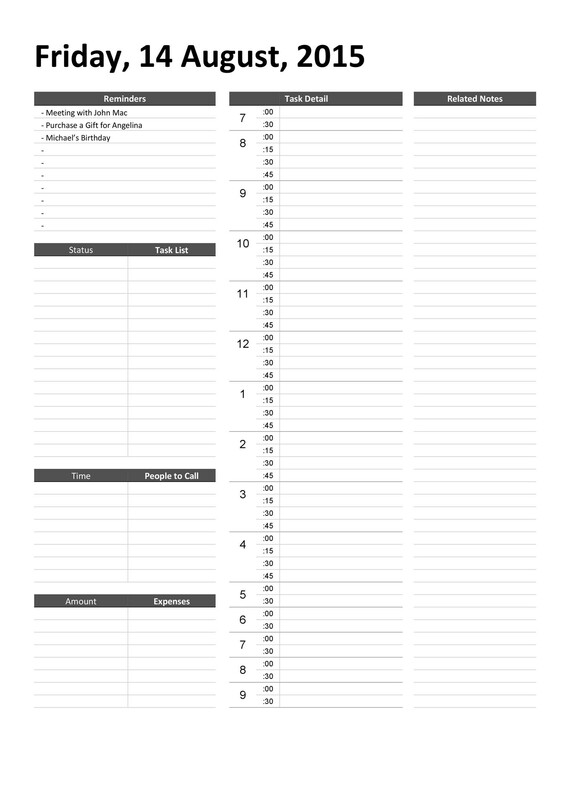 7 How to Make a Daily Planner Template? 8 How to Make Effective Use of a Daily Planner? Though it takes some time and effort to getting used to making a daily planner, you will be glad that you made one once you see how helpful it is. By alleviating your stress, it will make you make you feel more in control of your life. 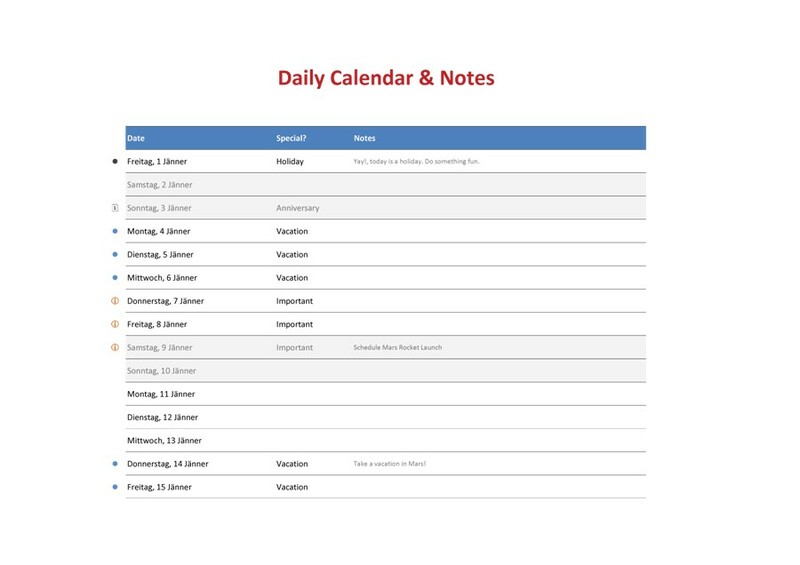 Also, when you make a daily planner, you can self-regulate and track your own behavior by maintaining records as to what you have already done and what you need to carry out in future. If you are interested to know about the ins and outs of a daily planner, you have come to right place. 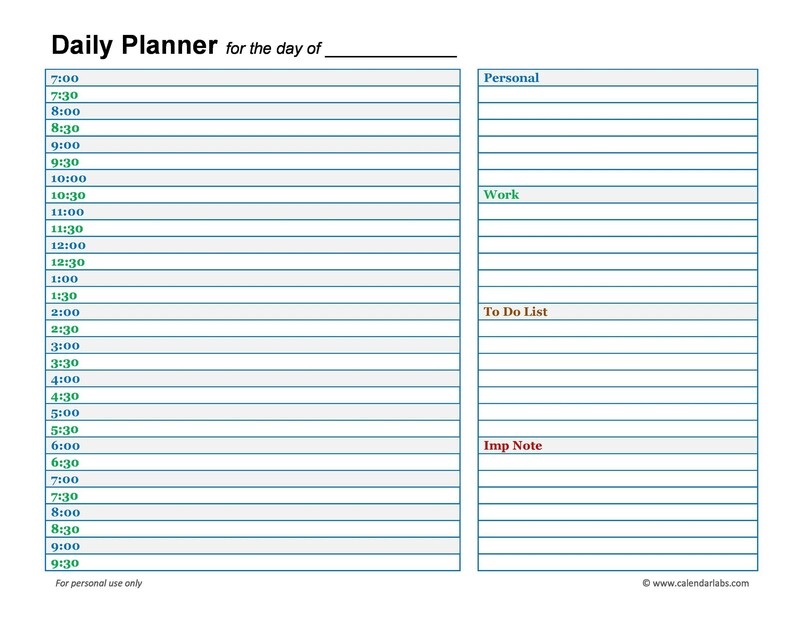 Here is all you need to know about a daily planner and a daily planner template. 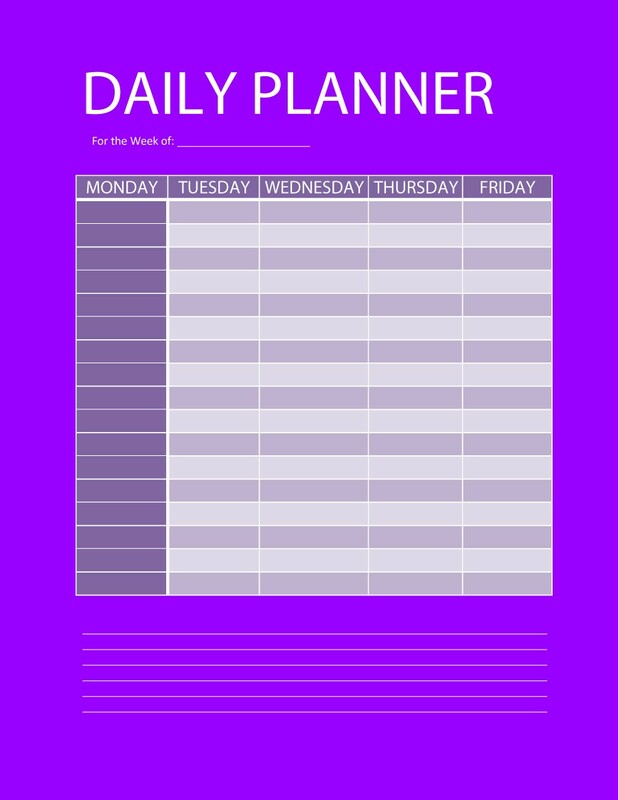 What Exactly is a Daily Planner? 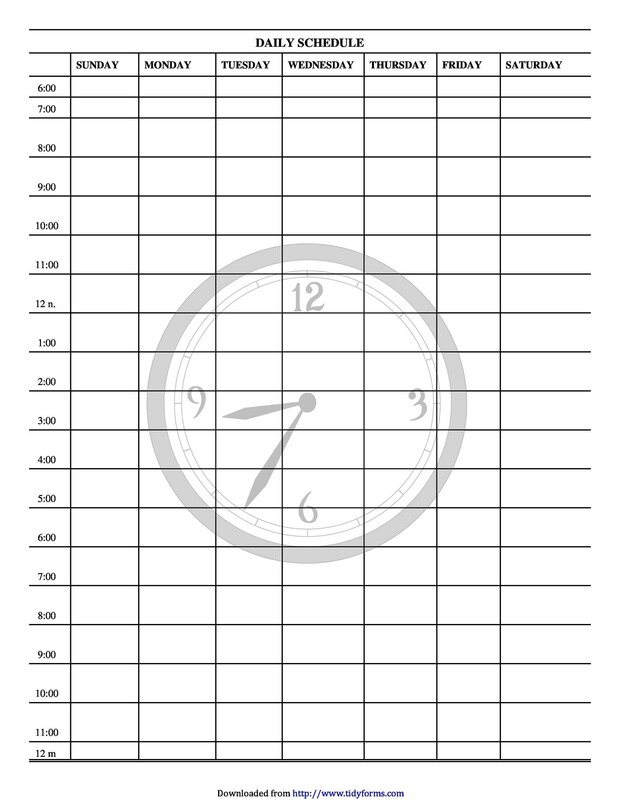 A daily planner is basically a kind of a book, chart or a program having sections and columns for every day with different timings of the day. By providing sections for every time of the day, it helps you organize everything you need to do in your life, from meetings to important appointments and from spending time with kids to entertainment activities; it assists you with all these things. 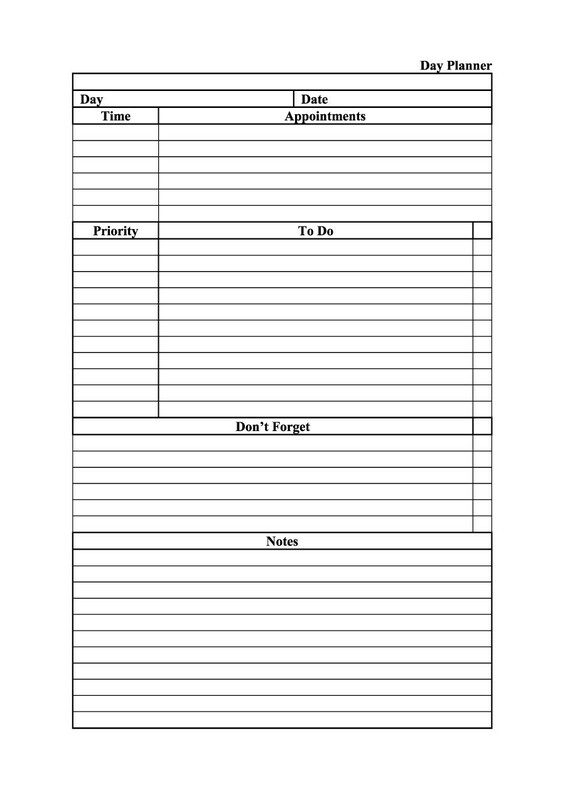 Moreover, daily planners have been a staple for both office and home. 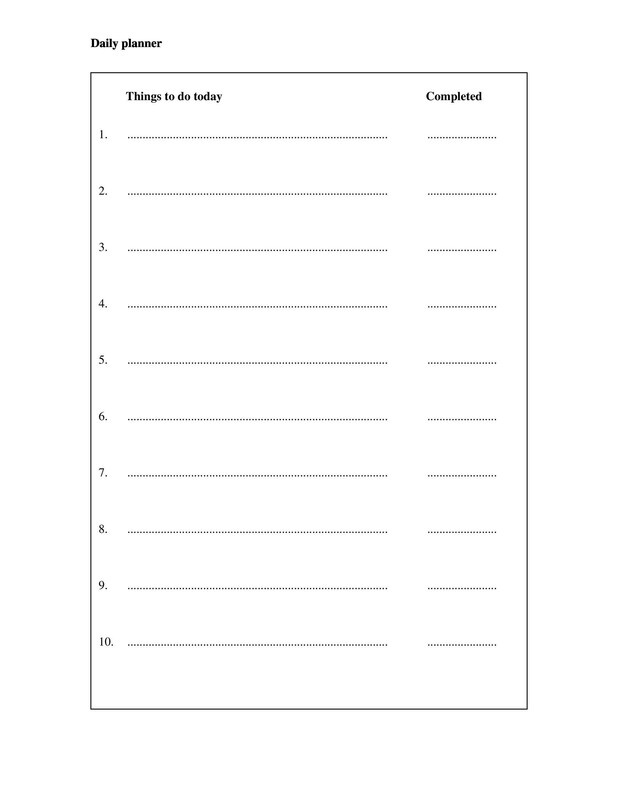 Teachers, students, housewives, business owners and anyone having a busy schedule and is unable to stay on the track should maintain a daily planner as a basic tool to organize themselves. A daily planner can be helpful in a number of ways and levels for every point in time, having a section for each day of a year. Furthermore, these sections are normally large enough for you to write about your commitments, appointments, meetings or anything that you want to accomplish on a specified date. Along with space for notes and calendars, daily planners also come with address books including contents like addresses, names, email addresses, phone numbers, birth dates and special dates such as anniversaries. 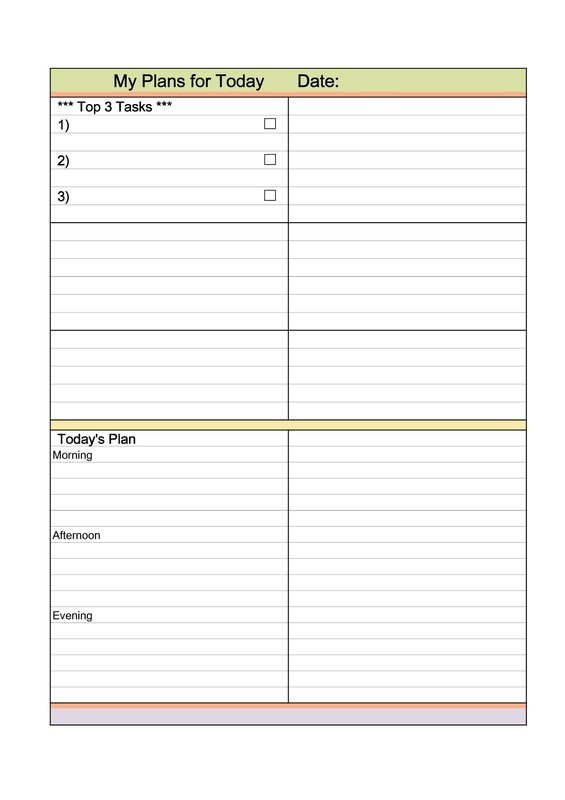 Additionally, a daily planner is of 2 types; in the form of a hard copy and as an electronic version. 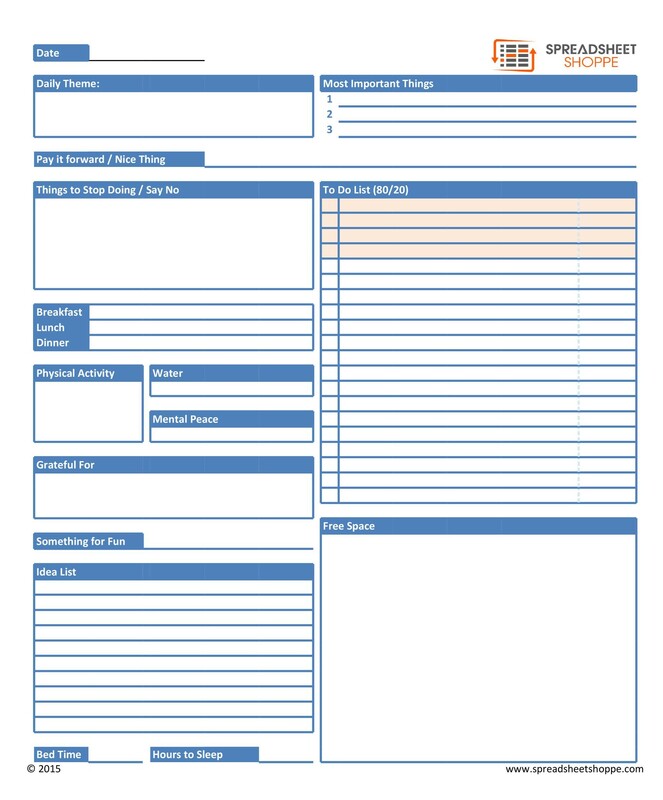 Among them, the hard copy form is immensely popular. Despite belonging to an old school of thought, people still prefer to maintain records in hard copy. On the contrary, the technology has put forward another type of daily planner that is the electronic daily planners, which are mostly used by business owners. Also, these electronic daily planners also have similar features which resemble that of a traditional daily planner. 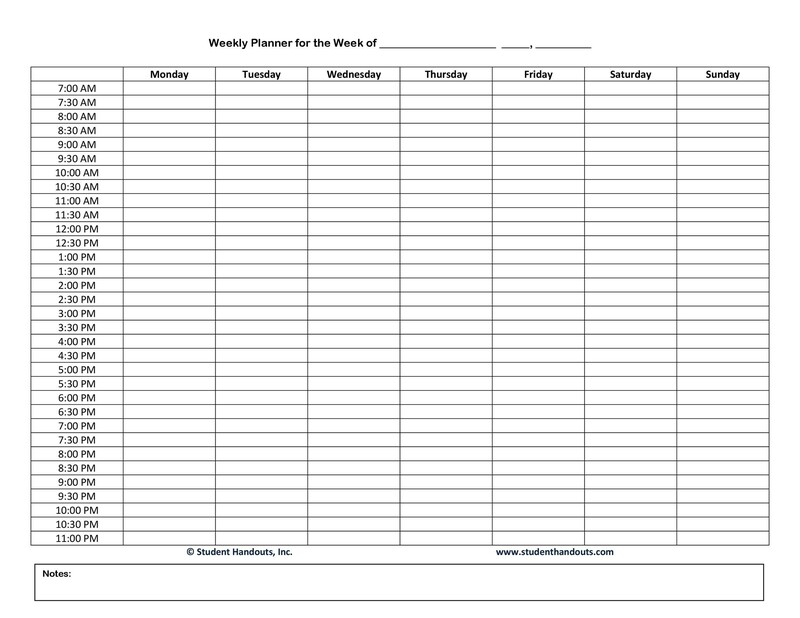 Being an advanced form of a planner, electronic planners have the ability to link over the sections in the program. You can also download the software packages that are available online to simplify your daily planning. In our busy lives, we need to stay organized or else we will be left behind. Demands from our school life, work life, fun activities, events and many other things require us to stay prepared. While very few of us maintain a daily planner, here are some reasons that will convince you to have and start your daily planner today! Controlling and planning things efficiently comes under time management. Daily planners are one of the best methods to address your time management. Planners have daily, weekly and monthly overviews permitting you to pen down all your important tasks and events on your schedule. Also, it allows you to organize certain events at any day, time or hour, no matter if it is morning or evening. Allowing you to have a track of all events and records, you can manage your time accordingly. In addition to time management, maintaining a daily planner helps you remember everything and ensures that you don’t forget anything. When you have an option to pen down things for a specified day, date and time, then how can you forget things? Of course, putting them right in front of you or seeing them is important in this regard. If you tend to forget things and want to have control over life, then making a daily planner can serve as a helping hand to you. When you maintain a daily planner, you put those things first which are of the most importance, one which you want to prioritize. By letting you prioritize your tasks, a daily planner makes you more organized and able to do things better than you used to do before, increasing your productivity. Actually, a daily planner will lock you in a system, ensuring you stay focused on your work and fulfill all of your goals. 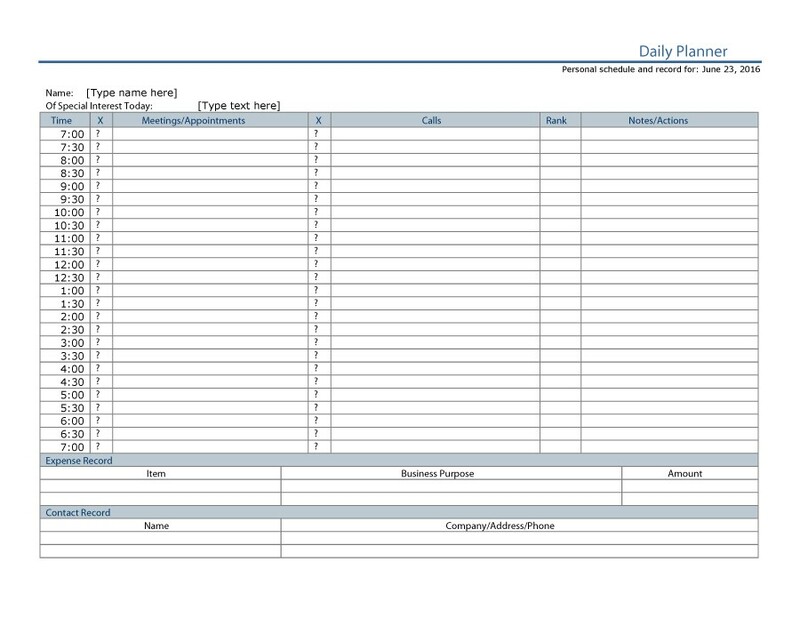 It is obvious that a daily planner helps you in maintaining records. By giving an easy access to records regarding all your meetings, appointments, tasks and notes, a daily planner creates a record of all in a single place. If you do not remember your appointment with the doctor or any of your important meetings’ dates, then you need not worry. You just need to grab your daily planner and check it. 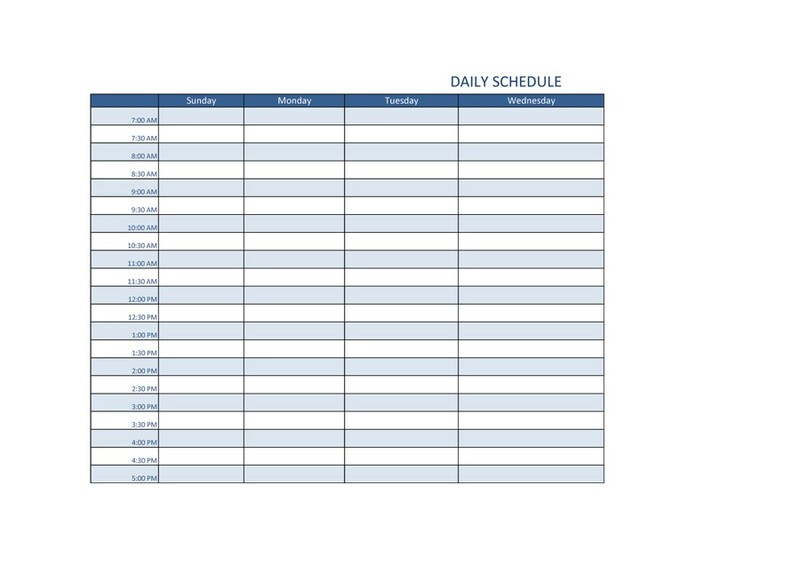 Daily planners come in handy, most importantly for record maintenance. All the reasons and benefits above are linked with this one. When you are able to remember, manage time, become productive and maintain all your records, it ultimately reduces the level of stress. You will not get feelings of being off track or overwhelmed because of the tasks to do. 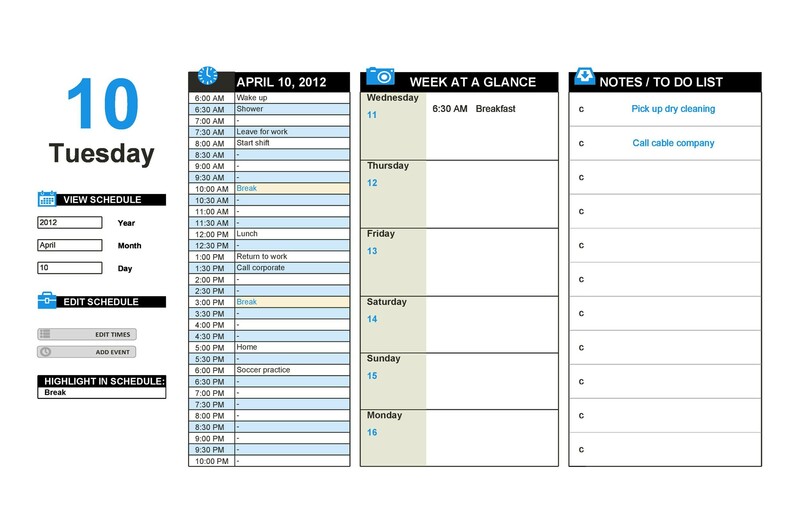 Simply adding everything to your daily planner in a date wise format will be a relief for you. Also, when you have minimal stress, you will witness an improved quality of life. There are many types of daily planners available in different formats in hard copies as well as electronic ones. 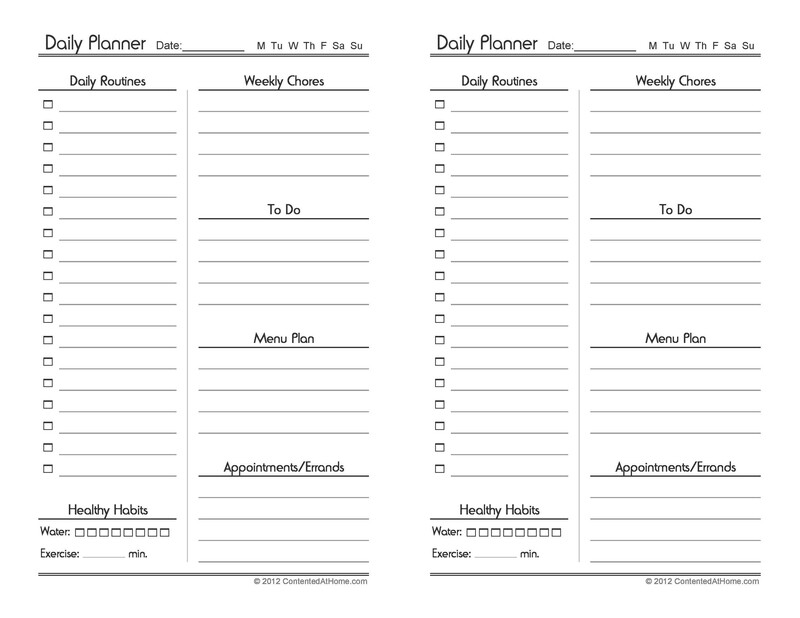 People often prefer having a hard copy of daily planners, even though the daily planner template is the same in both kinds. 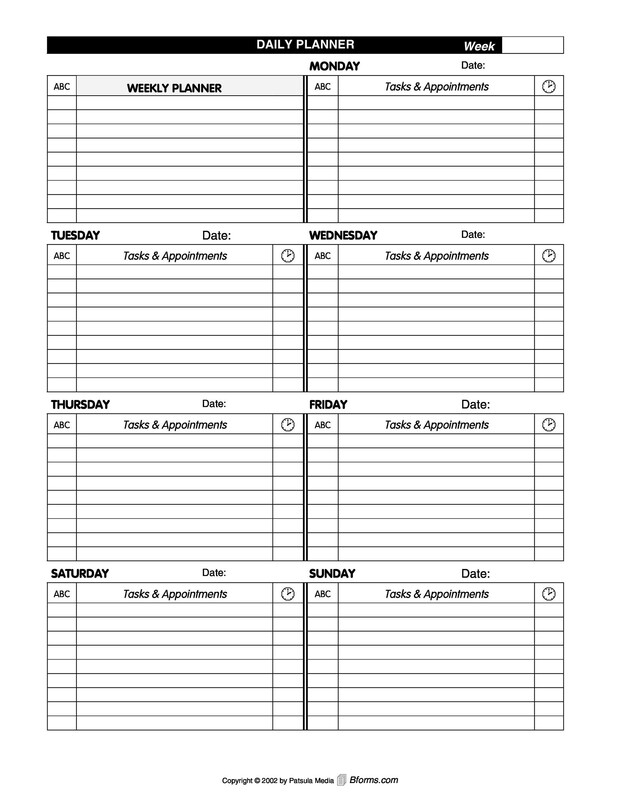 However, if you wish to use electronic daily planners, having a hard copy of itis always better. 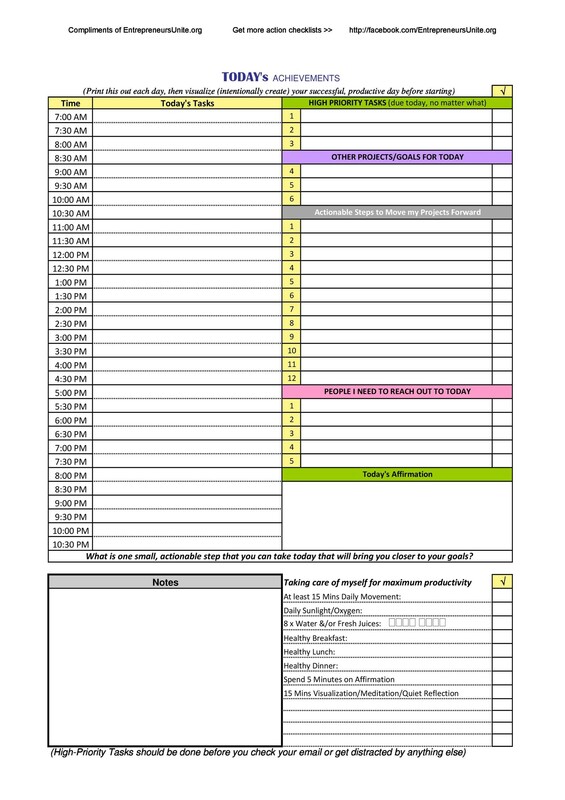 There are some printable daily planners available online having some of the best daily planner templates. 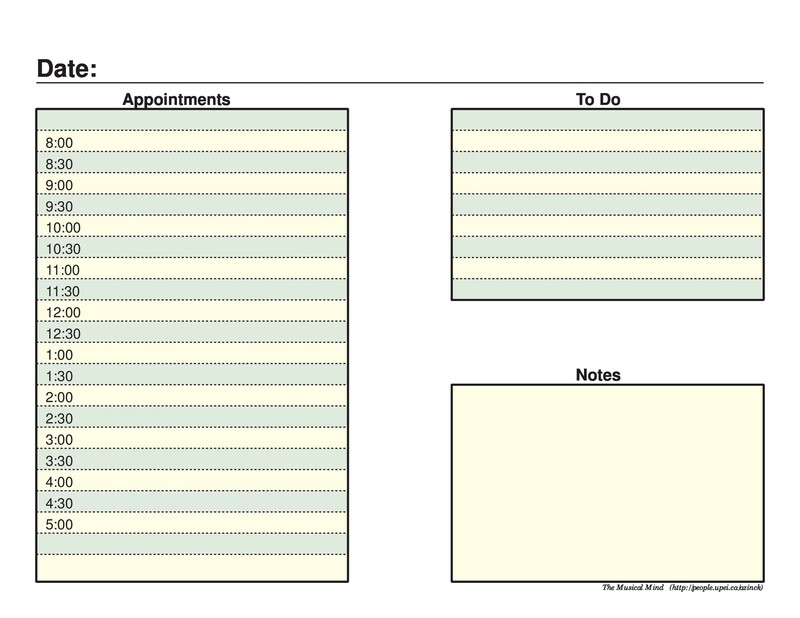 Generally, there are 2 types of basic daily planners; horizontal and vertical. A horizontal daily planner has some space across the page from Monday to Thursday while the other days are on the other page. 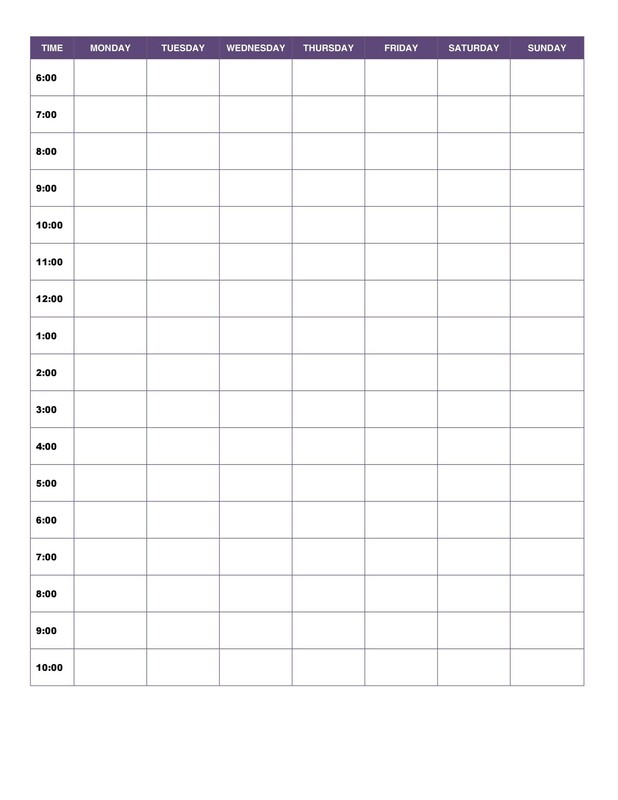 Horizontal daily planners are most commonly used in the US. 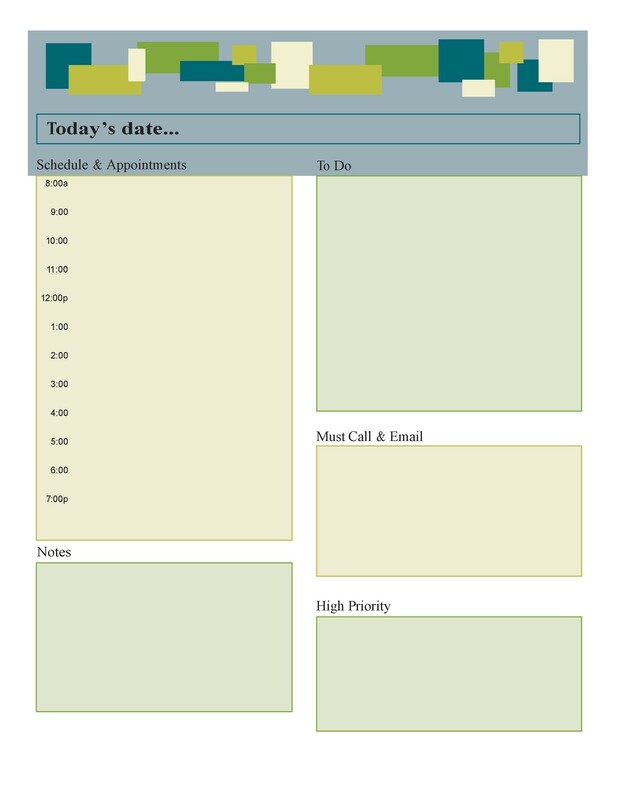 On the other hand, vertical daily planners have columns, helping you see your days chronically. 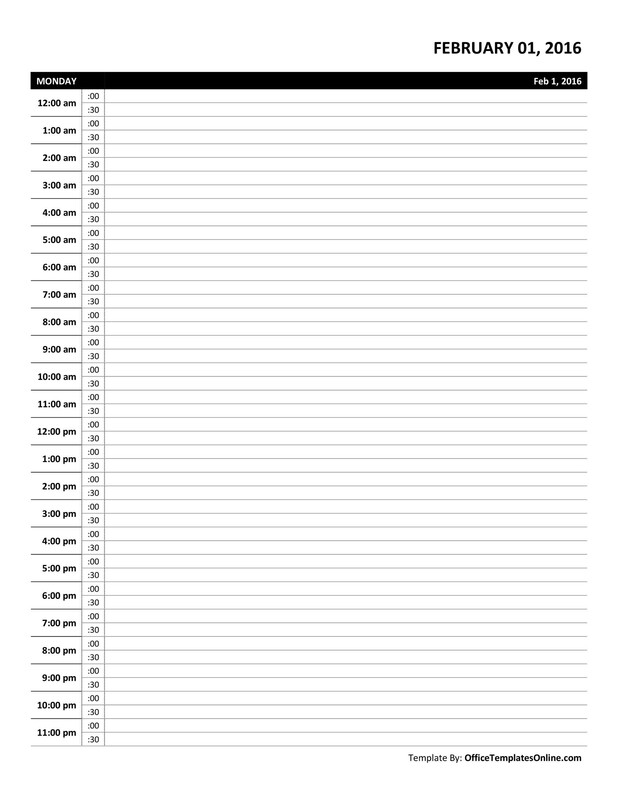 Some of the vertical daily planners have lined while some of them have timed columns. 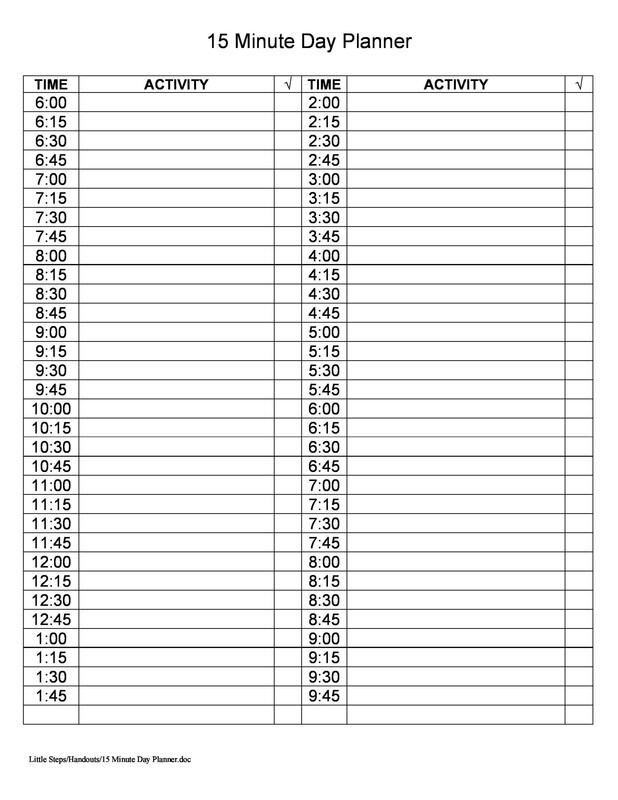 These types of planners are handy for planning the duration of activities. Here are a few daily planners that are trending. Blue sky planners are only available online as well as in hard copies and are really vibrant and delightful. They usually come in a variety of fun colors with some really cool prints. Not only this, they come in a variety of sizes too, having really nice features. 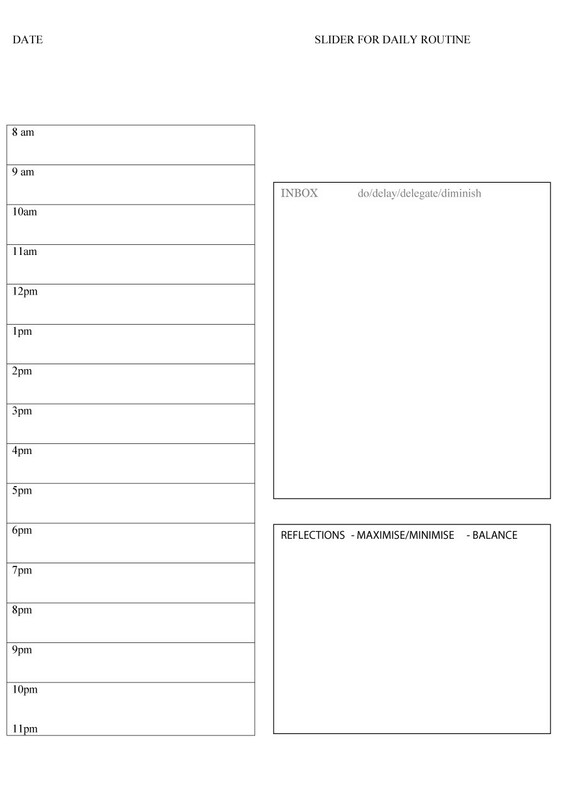 Being available online, you can also enjoy the printable daily planner templates. 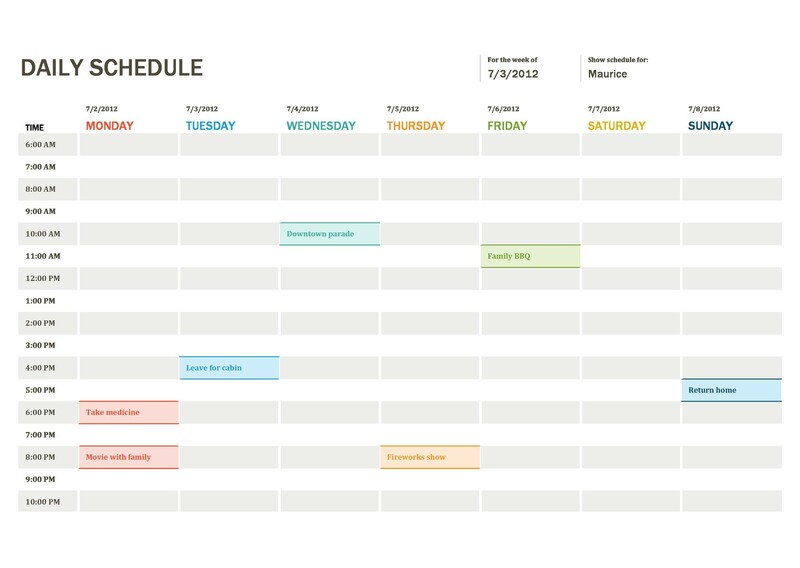 This daily planner is designed by a Canadian woman and is truly an amazing planner. One of the best things that set a daily planner apart is its unique split page layout permitting ladies to flip through the pages whilst keeping the month in view. 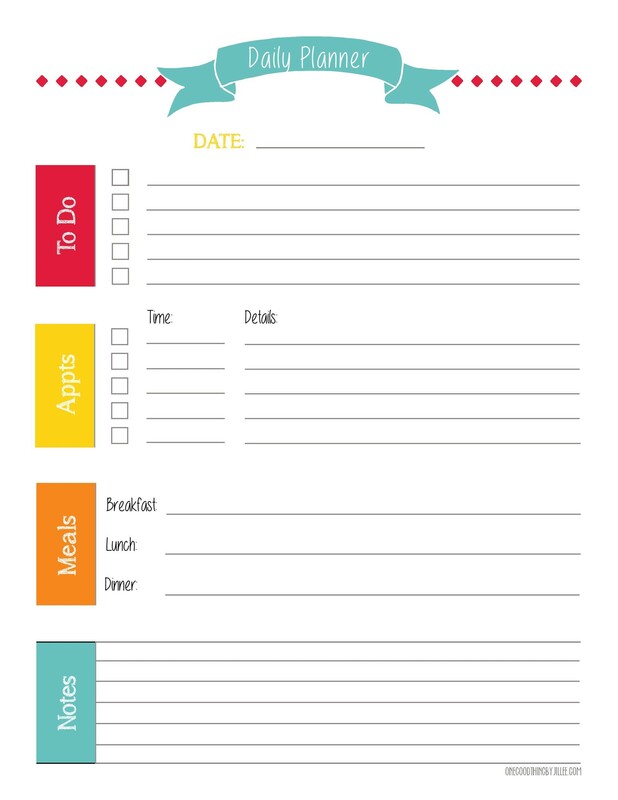 This type of daily planner has several sections including kitchens, appointment and a to-do-list, providing you spaces to list down tasks requiring the most attention. These planners are especially designed for women to handle their daily chores for the family. 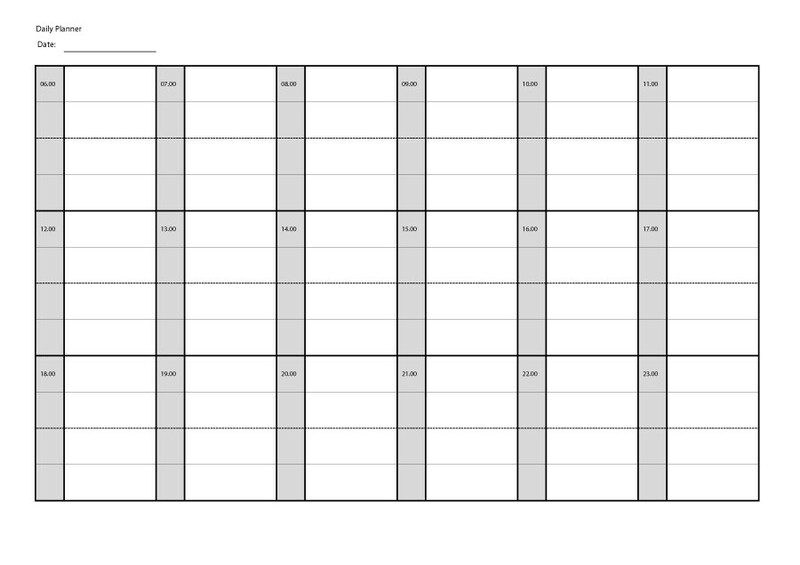 The BusyBodyBook daily planner has a different form of template as it has a unique layout and design consisting of grids with 5 columns. It can help at least five people maintain their activities regarding household chores, appointments, school work, meetings, entertainment, events and much more. These daily planners are quite similar to the Polestar family planners featuring large square spaces to schedule your tasks. It also has a place for tearing out lists and notes. The fun cover designs are really attractive and appealing, making you buy one for sure. Also, you need not worry if anything spills over your daily planner; the plastic cover over it is wipe-able. 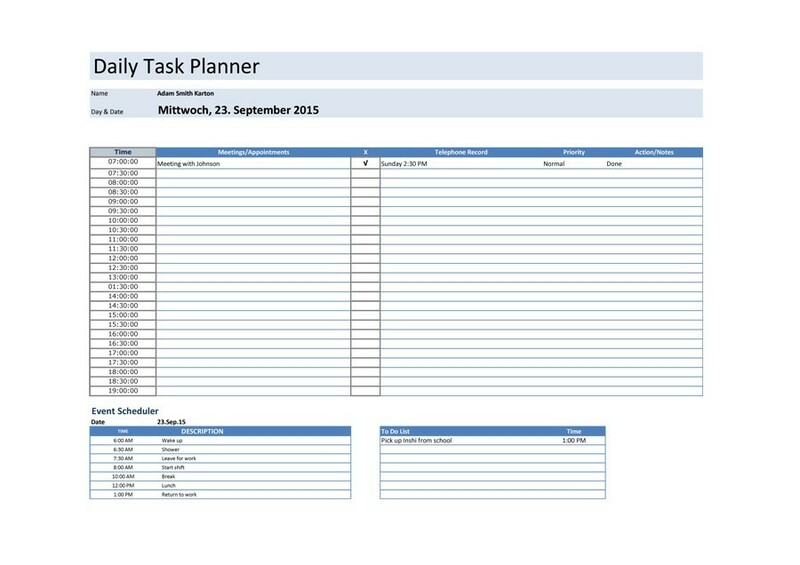 Helping you with your individual work as well as family tasks, dotmine daily planners are one of the ideal options for you to choose in order to do your daily tasks. 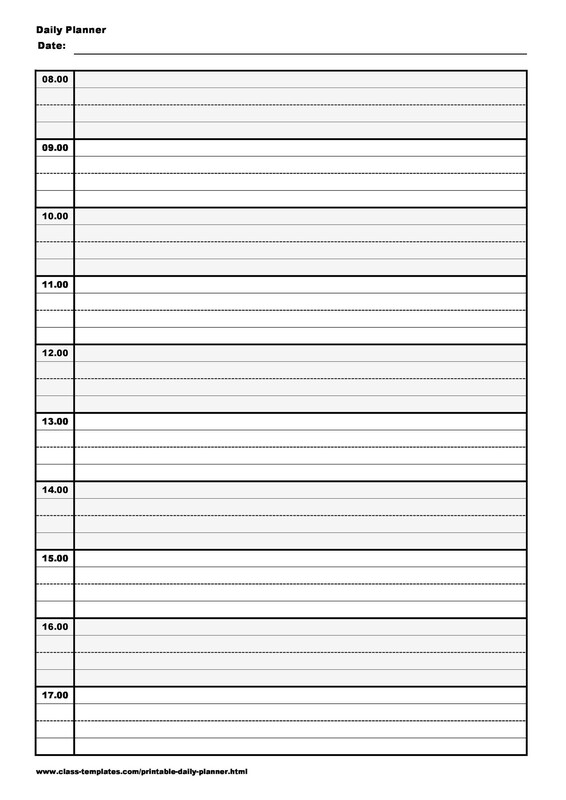 How to Make a Daily Planner Template? 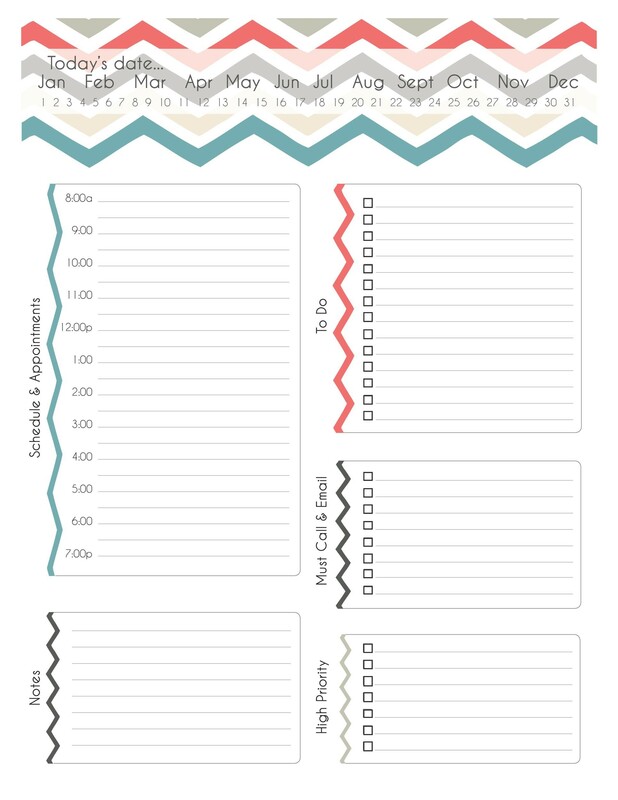 Even though it is needless to say that a daily planner template helps you staying on track, but for this, you need to maintain a daily planner template. 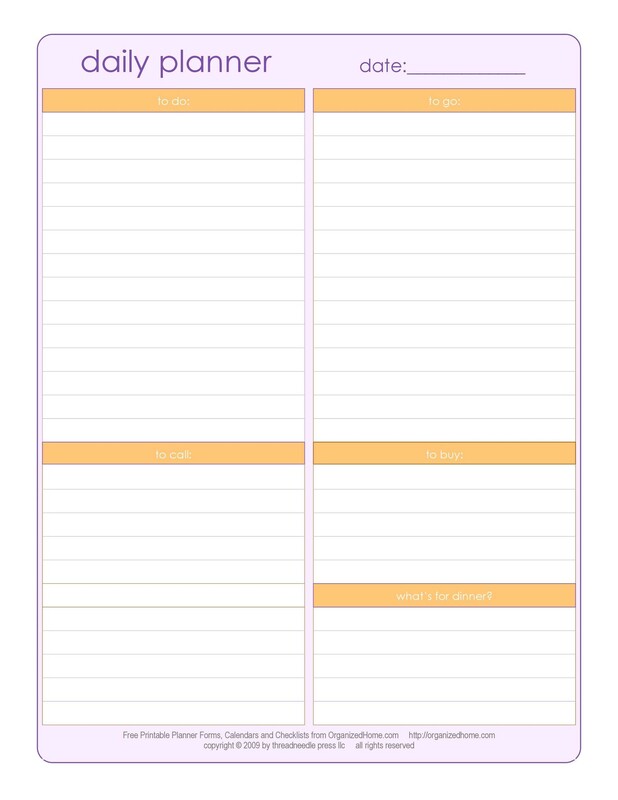 You can either download it online from the printable daily planners using the electronic planners or make your own to stand out and make the best daily planner. 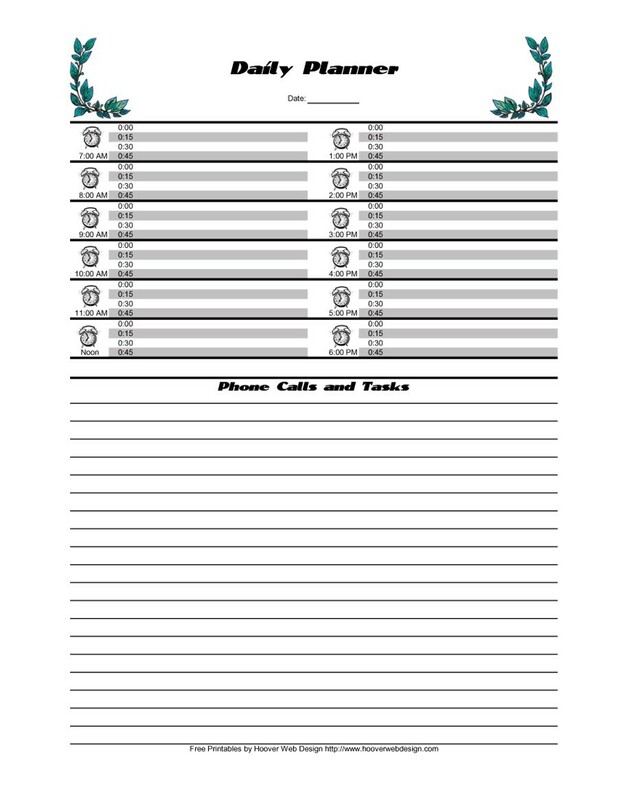 Daily planners are normally in the form of diaries but with the advancement of technology, electronic daily planners let you enjoy the printable daily planner templates. 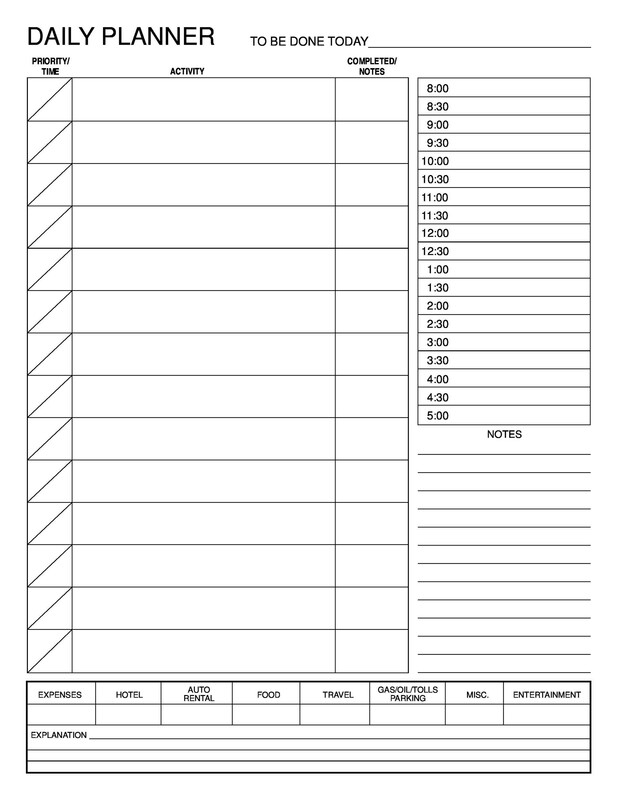 By providing you boxes for your tasks to be listed down, these electronic calendars are fun to use. On the other hand, you can also use a notebook for the same purpose. 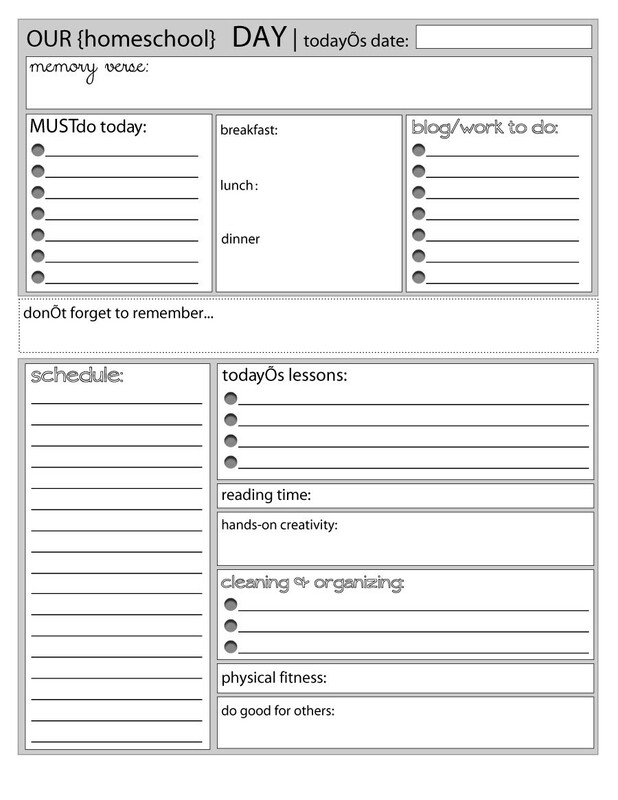 Next on the list for making a daily planner template comes the requirement for organizing the tasks. By organizing, we mean that you need to prioritize your tasks. For that, you can separate and prioritize them by using colors. On deciding the priority, it is time to schedule the time to every task. 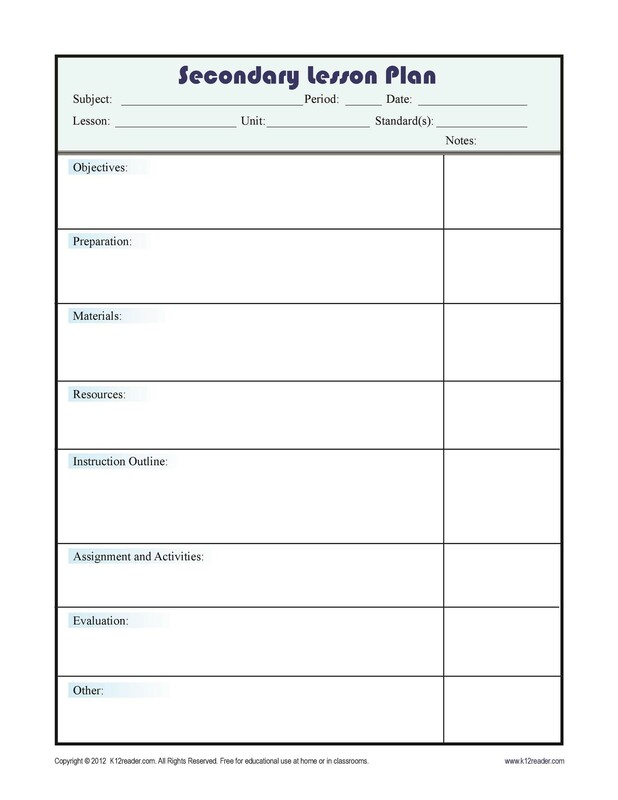 You should write about the duration in which the tasks should be completed. In the end, you need to keep some extra and free space to write about the things that could come up later. This section is mostly dedicated to the least prioritized items and these tasks are likely done when you are done with the most important ones. 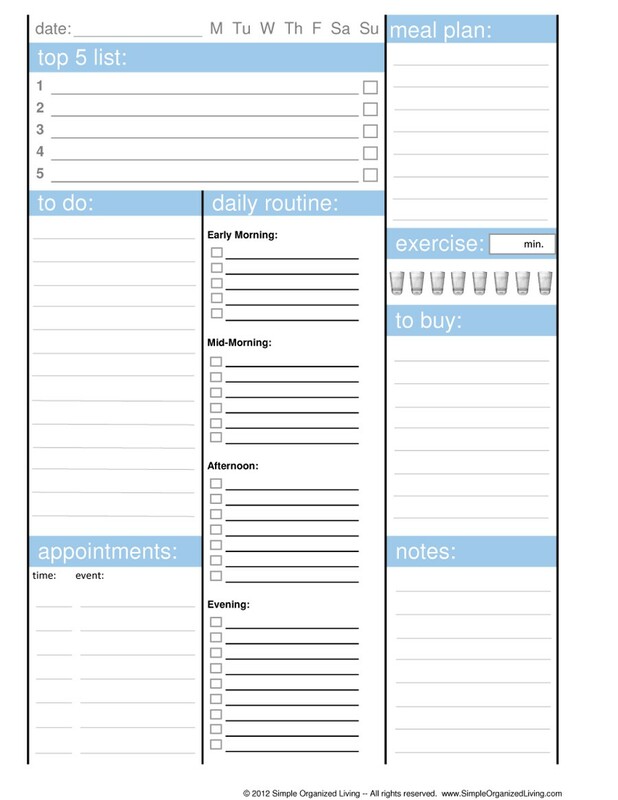 How to Make Effective Use of a Daily Planner? 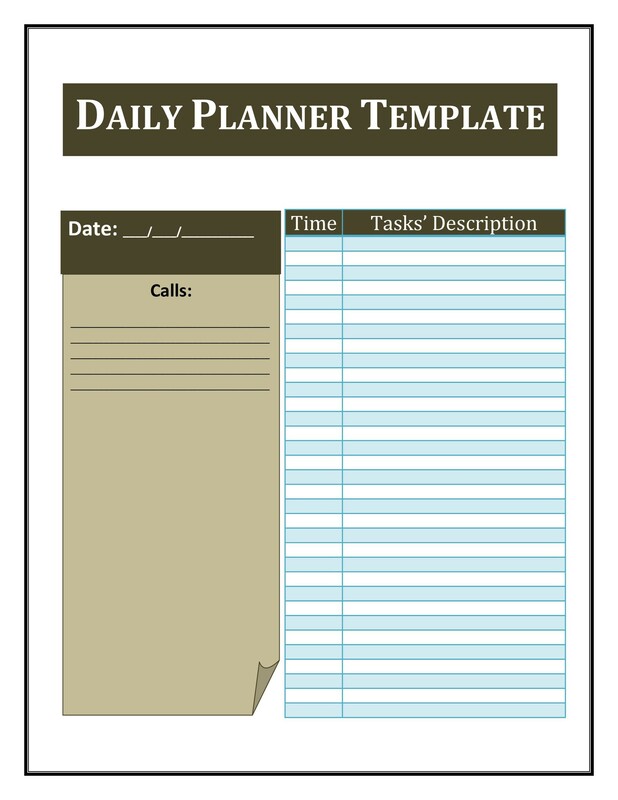 It is good that you have maintained a daily planner template but only keeping up with the daily planner will benefit you. If you do not keep up with it, you will not be able to achieve your goals. 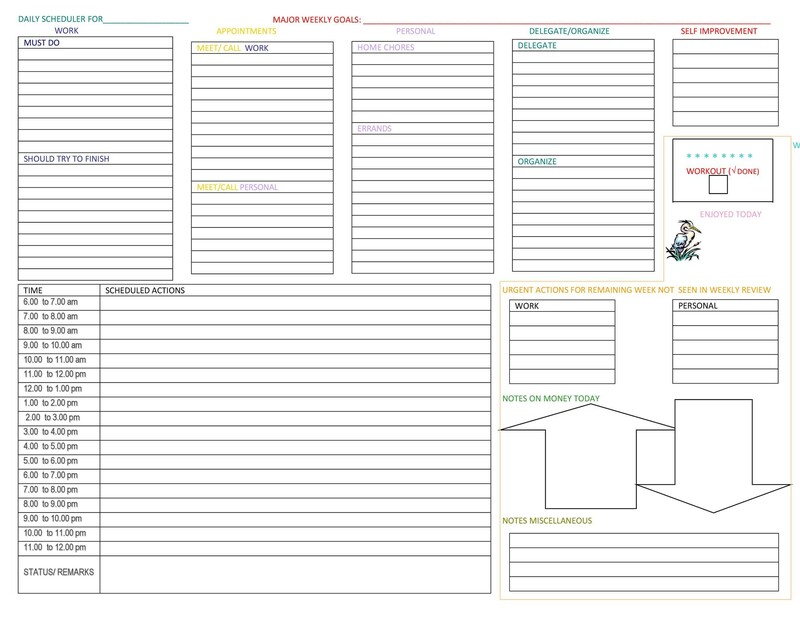 So, here’s how you can effectively use a daily planner. 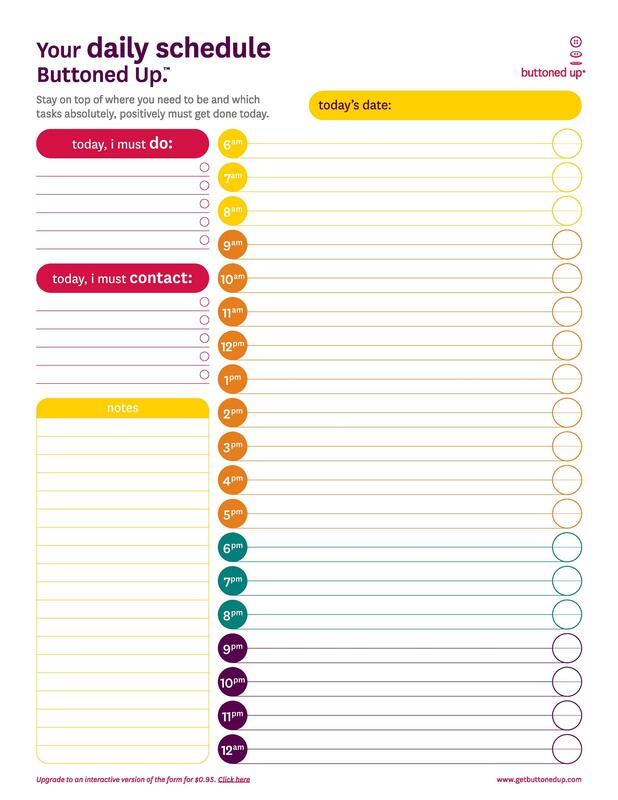 A daily planner means that you pen down all your daily tasks in it and need to check them on a regular basis. You should make a habit of checking your daily planner every morning and night in order to prepare beforehand. When you are organizing your tasks, you prioritize them according to importance. Given that you have already designated a list of priorities, it is essential to work through them in order of priority. It is likely that you will have to make some adjustments to your daily schedule as things never go according to plan. Adjusting can either be scheduling your task for another day and sometimes, it can completely remove it from the list. Additionally, you should also ensure to check off the tasks that are done or completed so that you are at relief and remember what’s done. If you also want to track and maintain appointments, meetings, tasks and deadlines along with fun, entertainment and other activities, then you have come to the right place. 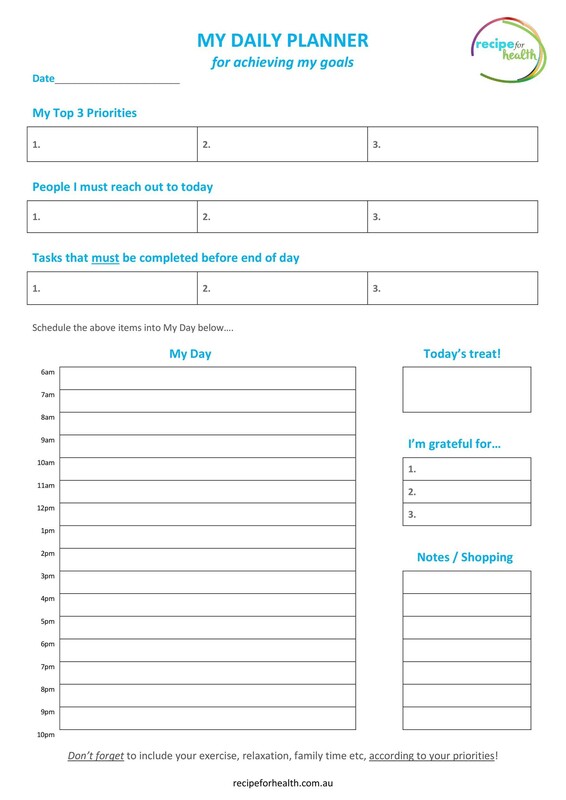 You can download some of the best daily planner templates from our main website. Stay organized!